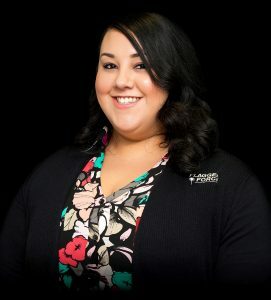 Amanda Mendoza is currently the IT Engineer at the Baltimore Operations and Training Facility. She works closely within the Technology Department on new projects and initiatives for the company’s programs. However, when she first joined the company, Amanda didn’t picture herself working in the Technology Department. Flagger Force recently met with Amanda to discuss her career journey. Flagger Force: Amanda, thank you for meeting with us today. 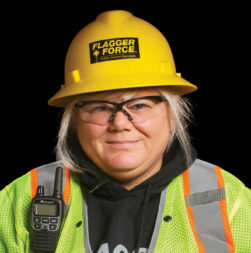 Can you tell us a bit about how you came to work for Flagger Force? Amanda: Thank you! Well, it was about two and a half years ago when I was first contacted by a recruiter here at the Baltimore facility for a position as an Operations Specialist. The facility just opened and there was a lot of excitement going on. I came in to interview and was impressed right off the bat with the building and the possibilities of working here. At the time, I really needed a position that could fit the schedule of my two kids, plus my studies since I just started going ba ck to school. It seemed that with my previous experience in customer service and call centers, that the role of Operations Specialist was the career move for me. Flagger Force: Did you enjoy your role as Operations Specialist? Amanda: It had its rewards and challenges, just like any job, but I liked being on the phone, interacting with the clients and employees. I know everyone says this, but it is true—no day is the same here at Flagger Force, no matter what role you are in. Compared to my prior experience working at a call center, it was really interesting to have a chance to actually meet the employees I was interacting with on the phone and get to know them. Flagger Force: So, how did you become a member of the Technology Department? Amanda: Quite honestly, joining the Technology Department was not in my original career plan. Working as an Operations Specialist was going well and I wasn’t too sure what I was going to do with my college degree anyway. That said, the word got around the office that I was going back to school for computer programming. I knew I wanted to gain the valuable technology skills from an associate degree, but was still figuring out my ultimate plan. As a result, I wasn’t super confident yet about pursuing opportunities in the Technology Department without a concrete plan. One day, I sat down with Les McDonald, one of the Team Leaders of the Technology Department, and our conversation really opened my mind and gave me the confidence to apply for an open position with the technology team. Flagger Force: Can you describe what the Technology Department does for those who may not know about it? Amanda: Sure! The Technology Department is about establishing, monitoring, and maintaining our information systems, and more than that, we drive innovation. Personally, I believe innovation is the path to business success. We aim to collaborate and implement ideas as a team. Since Flagger Force’s work is so specialized, we have our own custom software programs. I get an extra degree of satisfaction from my work knowing we have led the development of these systems ourselves. Each member of our team plays a part in our process—testing and deploying of the programs and tablet apps. All of these applications directly impact our daily operations, and it is awesome when we can see their positive effect on the company as a whole. Flagger Force: What are some of the things you enjoy in your current role with Flagger Force? Amanda: I enjoy the fact that I can still interact with the employees and help them in a different way than I could as an Operations Specialist. When I first started in this role, we were launching our Flagger Force Mobile Applications (Timesheet & Dispatch), and that was a very busy time. It was a lot of work to educate all of our employees about the benefits of these programs, as well as getting the applications to work on our tablets. I found it rewarding to work directly with our field teams and also address their feedback. Now, we are expanding our applications to include more of the things our employees are looking for and can benefit them even more. 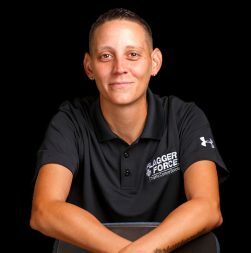 Flagger Force: You were recently a recipient of the Flagger Force Stephanie Steffy Scholarship, created in honor of one of the original Flagger Force employees and all Flagger Force 10-Year employees. Would you tell us about your plans for this opportunity? Amanda: I started going back to school around 2012 for computer programming through a local college here in Baltimore. I received my associate degree in computer programming and Web analysis in the summer of 2016 and wanted to continue my education toward a bachelor’s degree in information systems management, which started in September of 2016. Going to school is very pricey. I heard about the available scholarship in the beginning of 2016, so I applied, wrote an essay about how I would use the scholarship, and was so grateful when I received it! Thanks to that scholarship, I was able to pay for a course I needed within my program. Flagger Force: Sounds like you’re very passionate about what you do. When you are not studying or working, what do you enjoy doing? Amanda: Well, I have two kids, a nine-year-old and a 10-year-old, and they are really into basketball, so I am basically an “Uber driver” for youth sports. When I leave work, I am with my kids at their games or helping them with their schoolwork. Any other free time I have is dedicated to my studies. My extended family doesn’t live in the area, so when I need a break from studying, I am usually with my friends who also have kids of the same age. Flagger Force: Have you always lived in the Baltimore area? Amanda: Well, I was born and raised in Chicago. When I was 12 years old, my mom got a new job and we moved to the Baltimore area. However, by the time I was in high school, my mom and I moved to Florida for another job opportunity. Florida is a nice place for sure, but I really started missing Baltimore, so once I was able, I moved back. My mom still lives in Florida, and I see her for major holidays with the kids. Actually, my mom and I are going on a trip to Cuba soon. Flagger Force: What made you both decide to visit Cuba? Amanda: My mom was born in Cuba. I have never been, yet. I don’t know a lot of detail about her life growing up in Cuba, but I know we have a lot of family there—so I’m very excited to meet them. My mom was actually one of the lucky U.S. Green Card Lottery winners. If you didn’t know, the U.S. accepts about 50,000 visa applications every year. At the time, you couldn’t really emigrate from Cuba unless you had won the lottery. Her move to the U.S. was a huge change and opportunity for my family. I know it will be good for my mom to go back to Cuba and see how everything has changed over the years. Flagger Force: Wow, that sounds like an amazing experience. Before we wrap up, do you have any advice for new employees at Flagger Force? Amanda: I always tell employees that there is a huge amount of opportunity at Flagger Force, but you only get out what you put into it. I hear a lot of people say, “I just need a job,” but once they see the opportunities that are available, they often change. I think everyone on my team would agree, at Flagger Force you have to be ready for change.